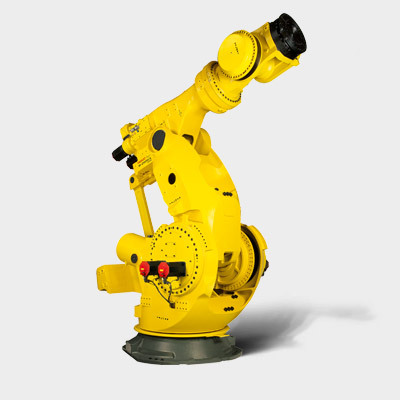 With more than 100 models, FANUC offers the widest range of industrial robots in the world. 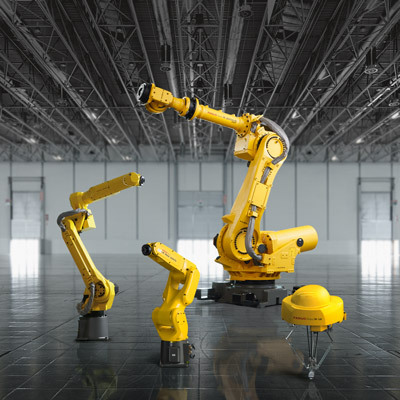 Covering a diverse range of applications and industries, FANUC robots are easy to operate and provide complete flexibility thanks to a range of application-specific options, straightforward integration, payloads up to 2.3 t and maximum reaches up to 4.7 m.
Safety-certified and with payloads up to 35 kg, the FANUC CR series of collaborative robots works hand in hand with humans to add value to your process. Equipped with anti-trap protection and clad in a soft rubber skin, the CR robot series will work side-by-side with humans without the need for additional safety devices. Operators can guide it, teach it or simply push it away. Lifting 2.3 t within a generous envelope, the new FANUC M-2000iA/2300 robot makes child’s play of handling and placing an entire SUV with extreme precision. 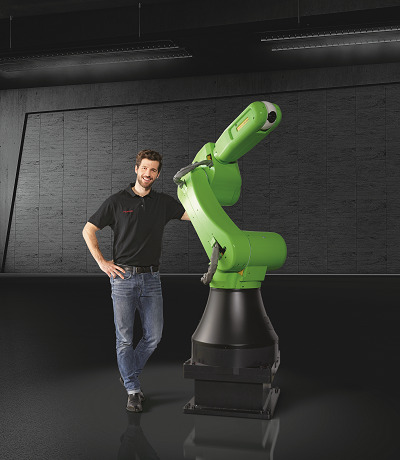 Faster and more flexible than a crane or hoist, this new industrial robot not only redefines heavy material handling but also opens up a wealth of possibilities for your production. Smart automation is profitable and affordable for medium-sized businesses too. Let us help you benefit from robotics and start automating right now! The M-900iB/280 is FANUC’s new specialist for applications that demand maximum rigidity from the robot. See what more stiffness could do for you. Our exacting standards and 100% quality ensure that our industrial robots average up to 3850 hours before we recommend carrying out preventive maintenance. Our robots and controllers are engineered to make the best possible use of energy. Using intelligent energy management systems they provide maximum performance for the least possible energy. 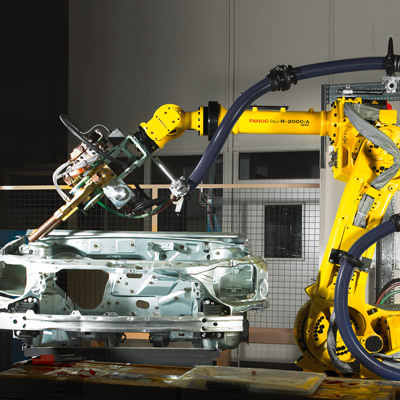 With 15 series of models, FANUC offers the widest range of industrial robots in the world. Covering a diverse range of applications and industries, FANUC machines are easy to operate and provide complete flexibility. With more than 250 software functions for enhanced intelligence, motion, safety and productivity and a wide variety of FANUC high quality accessories, we have a solution for almost every conceivable application. 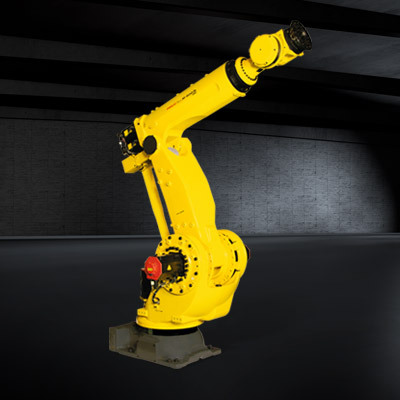 FANUC Learning Vibration Control enables your robot to auto-learn a smooth high-speed motion that speeds up drilling and spot welding applications by up to 15%. 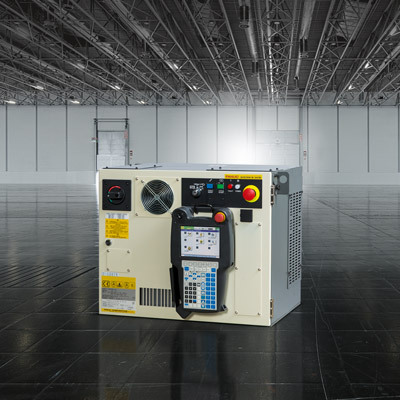 Read more about FANUC LVC. 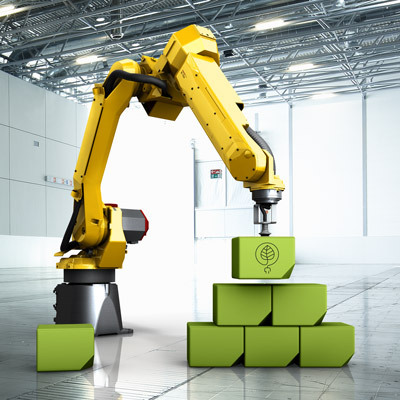 Requiring no hardware, FANUC Dual Check Safety is our unique smart software solution to keep operators, robots and tools 100% safe.